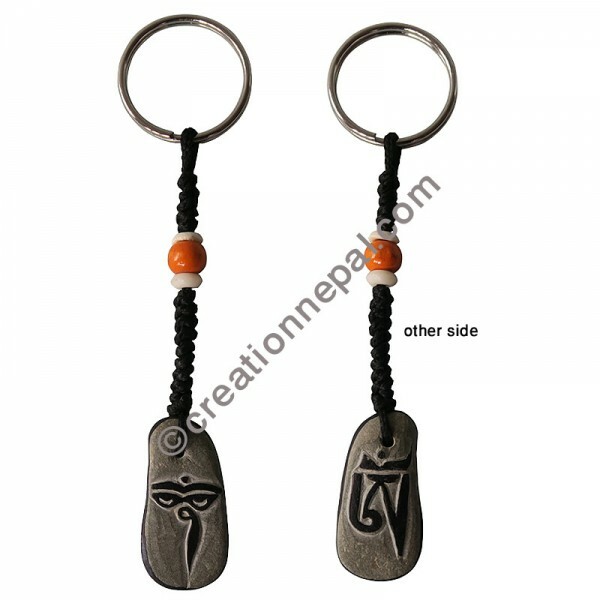 Buddha eye carved at a side and Tibetan letter Om mantra carved with black color paint on the other side, small size natural shape stone key ring. 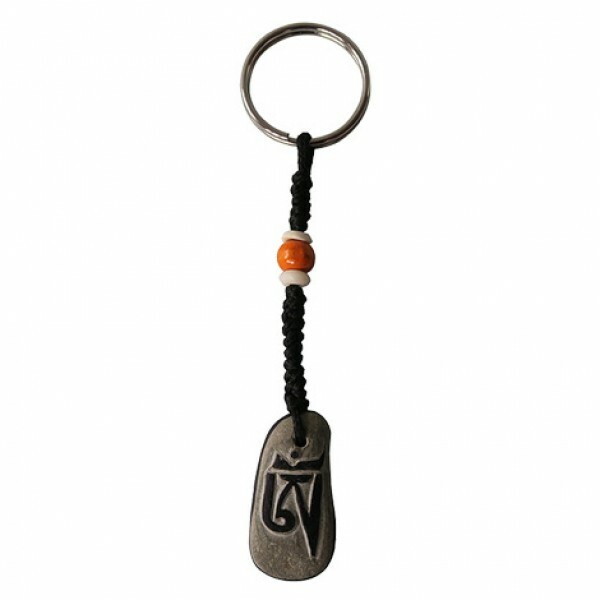 Since the Buddha eye-Om carved stone key ring is entirely handmade, there can be a slight variation in each final product. The given weight of the key ring is calculated for the shipping purpose, so that the actual weight can be different than it is mentioned here.